I noticed this particular question asked on one of the SQL forums the other day, however, this same question can apply to any database objects, like how to create a function on multiple databases, how to create a view on multiple databases, how to create a table on multiple databases, etc. If you think about it just for a bit you will realize that in fact the generic question that covers all those particular cases and more is: how to execute a t-sql script against multiple databases. Mapping scripts to databases and setting execution priorities -> 2 to 3 minutes depending on how complicated your deployment scenario is. So, in about 10 minutes you will have created an automated job that deploys the scripts you want to the servers and databases you want, when you want! Now whenever you might wish to deploy one or more scripts that you have created to those databases all you need to do is drop the scripts to the folder(s) to which the Script Containers created above are pointing to and you are done - your scheduled task will take care of the rest. Download Script Executor now and see what you have been missing. lob_used_page_count represents the number of pages used for storing out of row text, n/varchar(max), n/varbinary(max), image, and xml columns. in_row_used_page_count represents the total number of pages in use to store in-row data including both leaf and non-leaf pages. Hence, to determine the index space for the clustered index we subtract the in_row_data_page_count from the in_row_used_page_count to get only the non-leaf pages which should be attributed to the index space. Any questions or comments please leave them here. 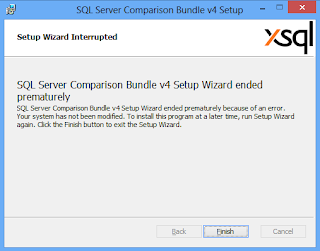 If you have not tried our SQL Server comparison download them now http://www.xsql.com/download/sql_server_comparison_bundle/ - quick and easy to install, even easier to use, fast, robust and completely free for SQL Server Express. New builds of SQL Server Schema Compare and xSQL Builder are available for download. issue with the serialization of user-defined data type binding to rules and stand-alone defaults. Has our SQL Schema Compare (xSQL Object) saved you time? If yes, please consider recommending it on LinkedIn. The following script (http://www.xsql.com/download/Scripts/Currencies.zip ) creates a "currencies" table and populates it with the complete ISO 4217 list of international currency codes (edition ISO 4217:2008). Note that the first two letters of the [AlphabeticCode] in the Currencies table correspond to the [ISO_ALPHA2] code on the Countries table which you can get from http://blog.xsql.com/2012/10/t-sql-list-of-countries.html, whereas the [NumericCode] in the Currencies table is in most cases the same as the [NumericalCode] in the Countries table. Please not that the list is current as of the date of this post. If you have any questions or comments please post them here.